The Federal Government is considering to fund part of the 2017 budget deficit of N2.69tn from funds recovered from treasury looters. The proposal is contained in the Medium Term Expenditure Framework/Fiscal Strategy Paper, which was submitted to the National Assembly. The Senate had two weeks ago dismissed the 2017-2019 MTEF/FSP sent to it by President Muhammadu Buhari, describing the documents as “empty” and as such should not be considered. The MTEF provides the basis for annual budget planning and consists of a macroeconomic framework that indicates fiscal targets, estimates, revenues and expenditures, including the government’s financial obligations in the medium term. The document, prepared by the Ministry of Budget and National Planning, also sets out the underlying assumptions for the projections, provides an evaluation and analysis of the previous budget, and presents an overview of the consolidated debt and potential fiscal risks. In the document, a copy of which was obtained by our correspondent in Abuja, the Federal Government is proposing to spend the sum of N6.86tn in 2017, with total revenue of N4.16tn. It said based on the funding gap of N2.69tn, an effective strategy would be adopted in financings the deficit. For instance, the government said while part of the deficit would be financed with recoveries from looted funds, the rest would be from borrowings. The document did not, however, provide details of the amount to be borrowed or the recoveries to be used to finance the budget deficit. It read in part, “Based on the revenue and expenditure estimates, the fiscal deficit is estimated to increase by about N492bn or 22.32 per cent from the estimate of N2.2tn in 2016. “However, while this remains below the maximum three per cent of the Gross Domestic Product stipulated in the Fiscal Responsibility Act, 2007, it is projected to take a downward turn afterwards. The document stated that the government, in consideration of its debt sustainability position, would remain prudent in its borrowing programme. “Borrowing will be geared towards funding critical capital projects that have potential to effectively increase productivity, and hence, provide mechanism for refinancing the debt,” it added. The Federal Government had in June this year released the list of recovered loot. The Minister of Information, Culture and Tourism, Alhaji Lai Mohammed, had in a statement said that the recoveries were made between May 29, 2015 and May 25, 2016. The government gave the breakdown of the recovered loot as N78,325,354,631.82; $185,119,584.61; £3,508,355.46 and €11,250. 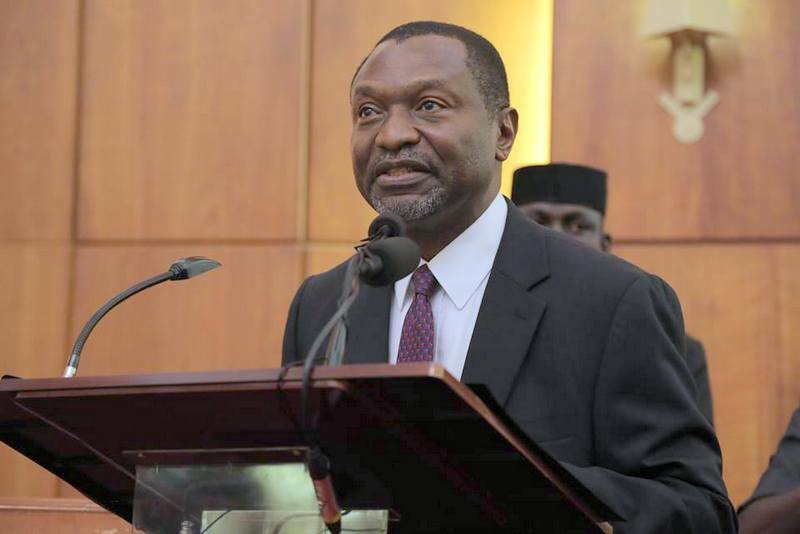 According to the minister, a separate amount of cash and assets worth over N2tn have also been seized, adding that the assets and cash seized under interim forfeiture totalled $9bn, N126bn, £2.4m and €303,399. He added that funds awaiting return from foreign jurisdictions totalled $321,316,726.1; £6,900,000 and €11,826.11. BREAKING: Buhari endorses N30,000 minimum wage!